Jean Hanan was raised in Alexandria, Virginia, and has spent her adult life between Northern Virginia and Washington, DC. Jean started her professional career in real estate following graduate school and then, after working as an executive in the energy industry and as a public relations consultant for the World Bank for a number of years, returned to real estate as her profession. She was most recently with TTR/Sotheby�s International Realty. Jean is a tenacious advocate for her clients. She has a winning talent for helping her sellers prepare their homes for sale and common-sense negotiating skills so that top dollar is attained in the shortest time possible. For her buyer clients, she has a natural ability for finding the right property at the right price to perfectly suit their criteria and desires. Jean has been a volunteer and served as chairman for various endeavors at Little Folks School in Georgetown, Beauvoir National Cathedral Elementary School, and the National Cathedral School for girls. She has also given back to her community in her support of various local causes including serving on the Board of the Friends of Montrose and Dumbarton Oaks Parks. She chaired the renovation of Georgetown's Montrose Park playground, which is used as the model for playground renovation by the National Park Service and chosen by Travel and Leisure magazine as the best playground in Washington, DC. We have had the pleasure of knowing Jean for almost a decade, as a neighbor and friend, and when the time came, as our real estate agent. She helped us buy our new home in Spring Valley and sell our existing home in Foxhall Village. As a person, Jean is one of the most personable, trustworthy and thoughtful people that I�ve ever met; as a real estate agent, she is astute, resourceful, and thorough, and clearly excels at her profession. With almost a year of searching for homes under our belt, Jean helped us navigate through a particularly complex purchase, asking all the right questions and actively problem solving along the way. When it was time to sell our home, Jean helped us identify a number of improvements, identified a top-notch staging company, and truly transformed our home, helping us achieve the sales price to which we aspired. Jean, always unflappable, also helped us through a difficult closing when the air conditioning in the house we were selling managed to fail on the day we were set to close. 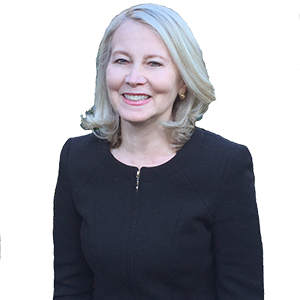 Jean brings a mix of deep expertise, a thorough understanding of market dynamics, and wise counsel when approaching any potential transaction. We are certain Jean is one of the best agents in the market. Have you ever bought a home and wished you could swap agents with the seller? That�s how we met Jean Hanan! Fast forward three more home sales/purchases with Jean, and our only regret is that she wouldn�t move with us when we left DC. We�ve seen Jean in action from every side of the home selling and purchasing equation, and if real estate were the World Series, Jean would be the starting pitcher, the relief pitcher, and the closer � for the winning team. Her impeccable taste and deep knowledge of the DC market guide the seller in how to best prepare, price, and market homes � as well as showing buyers premium homes, negotiating fair offers, managing pre-closing tasks and navigating any rocky or last-minute glitches. Nothing � honestly, nothing � was left to chance. Jean is the consummate professional who manages every step of the process to perfection. Jean was so helpful when I needed to sell my mother's house. I live out of state, and she dealt with vendors and contractors to make certain the work was done on time and properly. She had recommendations about what should be done and what didn't need to be done. Her knowledge of the area and the local real estate market were invaluable. She staged the house to help show up its best features and make it look fresh and appealing to a wide variety of people. We are very grateful for her help! I had the pleasure of working with Jean on selling not one but two homes in very different markets when I decided to relocate to the West Coast. Jean seamlessly prepared my home in Washington, DC, to achieve highest value in the shortest time period. From closely working with her professional photographer to preparing a detailed list of small improvements, she instinctively knows what buyers are looking for and how to best market a property to highlight its strongest features. Jean knows the DC area market inside and out and was in constant communication, which greatly enhanced my ability to make informed decisions. My other property was located outside the city, in an area with very few sales, had been on the market for a long time, and needed a fresh approach. I asked Jean to take it on knowing that it would be a challenge. Once again Jean created a magnificent virtual tour, marketed the property to a new audience and achieved a sale at a great price. I cannot say enough about Jean�s tenacity, thoroughness, preparation, and negotiating skills. After living in Paris for five years, we found ourselves moving to Washington, DC, and were unfamiliar with its many communities. In addition, with an international relocation, we had very little time to identify and purchase our new residence. Jean provided a house-shopping experience that was very productive and rewarding. The number of houses available during our house hunting trips to DC was limited, but Jean found properties on the market and not yet listed. She educated us on the various neighborhoods and was especially attuned to our criteria and gave special attention to the needs of our youngest child who would be entering a high school system quite different from his school experience in Paris. The quality and quantity of information Jean provided and her advice on negotiations were focused and were also flexible to adjust to the circumstances. With her support, we were able to purchase a beautiful home in Georgetown, which met all of our requirements. After purchasing our home, Jean offered invaluable information on architects and contractors. She also introduced us to neighbors and made excellent recommendations on healthcare, restaurants and other matters that made our transition from Paris to DC so much easier. We enjoyed working with Jean and greatly appreciate her guidance, support and patience! After 17 years, raising two children, and living through three significant renovations, it was time to pick up stakes and move across country. Leaving Woodley Road was not going to be easy. Not only did we want to recoup our substantial investment in the house, but we also wanted to minimize the trauma of moving. Lucky for us, we had real estate agent extraordinaire, Jean Hanan, to turn to. Jean looked over our house and came up with a few high-return improvements. When it came to staging, Jean transformed our �lived-in� abode to one with a clean and modern look. Knowing our house was somewhat unusual, Jean avoided the shotgun approach and worked only with a few selected agents. As a consequence we never had hoards tromping through the house, but two weeks later we had an offer for more than we had expected. The closing was equally painless. No last-minute trauma or missing documents. All went well and we were on our way to California. When it was all done, Jean presented us with a beautifully bound book of all the photos that had been taken of the house. It�s a lovely memento we will cherish always. The kids say the house never looked that good, but they too love the book. If you want to sell your house quickly, receive full value, and enjoy a hassle free experience, call Jean. You will not be sorry. One of the best things about Jean is her real estate persona. She is not pushy like so many realtors are, which I truly appreciated. When considering properties to purchase, she always objectively pointed out not just the pros but also the cons of whatever she was showing me. Jean also provided valuable advice on how to make my new home more to my taste while also adding value, and she continues to be available for insight on future improvements or other real estate matters. I always recommend her to my friends and colleagues. I worked with Jean for five years to find our dream home in the DC area. My husband and I were living in Brussels, Belgium, but we knew we wanted to retire in the DC area. I had a clear idea of what I wanted in our retirement home, and Jean was totally dedicated to helping me find it. She made time to work with me every time I came to DC, showing me homes with good potential, both inside and outside the District. She was always pleasant and easy to work with, even as a demanding client. I remember the day Jean suggested that I look at a townhouse in Old Town Alexandria that was not yet on the market. It was clear that she had listened to me and that she understood exactly what I was looking for. It met all of my needs perfectly. Thanks to Jean�s hard work, dedication and knowledge of the market, we now live in our dream home. Jean Hanan sold my large home when I wanted to downsize and also found the perfect new home for me. First, when it came to selling my large home, we were faced with the dual challenge of being in the midst of the Great Recession, which was in full force, and having several other large homes for sale in my neighborhood. Nevertheless, Jean was able to find a unique buyer unaffected by our national economy and to close the sale at an excellent price. In showing the house, Jean used her considerable artistic skills to highlight its best features in a very wonderful way. Jean also found the home I now live in and absolutely love. I knew the house needed a bit of work when I first saw it, but I thought it had great potential. Still, I would not have bought it if Jean hadn�t introduced me to the architect who ultimately worked with me on the renovation of the house. Jean, the architect and I spent much time in the house before I made an offer, and I became convinced that it could be exactly what I wanted. Jean helped me craft an offer that reflected the need for the work to be done. I couldn�t be happier with the final product. Jean is thoughtful, diligent, kind and a true professional. She knows every detail of the market and is always up-to-date on the most current information and research. She�s well-liked and well-respected in the community. Those qualities make a difference. My two houses—one sold and one bought—are proof of that.